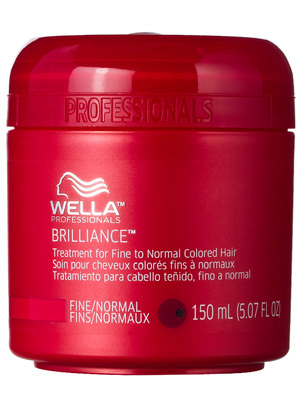 Wella Brilliance Treatment for Fine to Normal Colored Hair - 150ml - $28 - an intense treatment that instantly adds vibrancy and brilliant shine to the hair with a formula enriched with diamond dust to leave coloured hair manageable and silky soft. I've been using the treatment on it's own - 5 minutes, twice a week and it has been great for keeping my fine, coloured hair super soft - but if you prefer to use a complete system there is also a shampoo and conditioner in the line - and if you don't have fine to normal hair they haven't left you out, the same products are available in a collection for thick hair! Don't have fine to normal hair? No worries, there is also a Brilliance line for coarse coloured hair!